Paradise paints in orange, yellow, white & black. 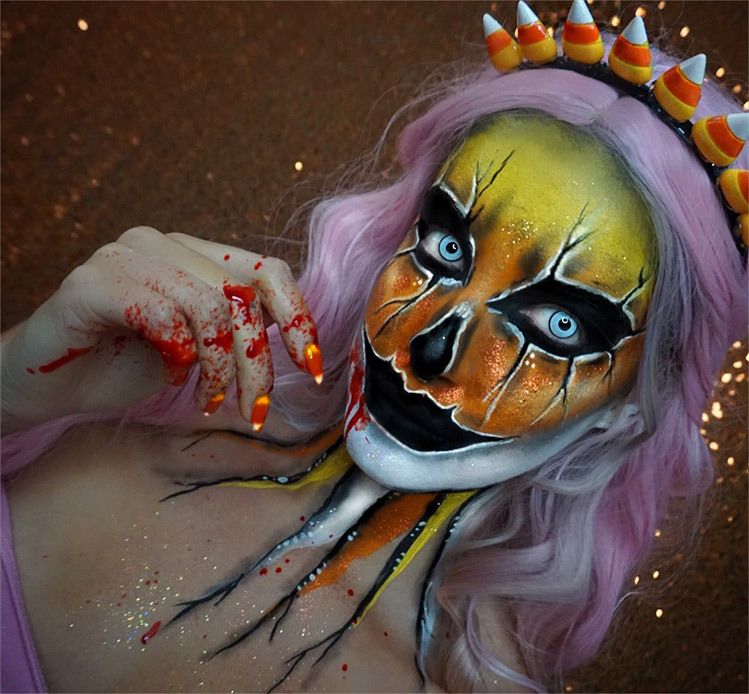 I am a professional face painter who lives in London, I started face painting as a hobby 4 years ago after I was inspired by the SFX makeup at Imats ! I now work at a circus themed night club painting performers & guests with the Mehron Paradise paints which are my favourite as they are so creamy, pigmented & smell like coconut..